The Law Office of Jared A. Rose represents dog bite victims in Kansas and Missouri. More than 4.5 million Americans are bitten by dogs every year. Dog bites can cause serious injuries and scars that last a lifetime. If you have been injured by someone else’s dog, you should consider calling a lawyer. In Missouri, a dog owner is strictly liable for the conduct of their dog. Basically, as long as you were not provoking the dog, you will deserve some compensation for your injuries. 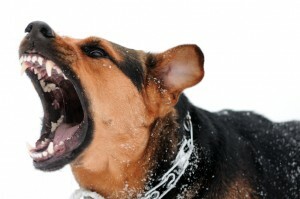 In Kansas, courts will typically require a dog bite victim to prove that the dog owner knew about the dangerous characteristics of their dog and that the owner failed to do something that a reasonable dog owner would have done to prevent the bite. In either state, your dog bite claim will probably be turned over to the dog owner’s insurance company. The insurance company won’t take you seriously unless you get a lawyer. If you live in Kansas or Missouri, please call the Law Office of Jared A. Rose to schedule a free consultation session.